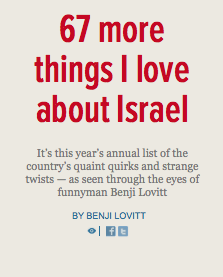 Who is Benji Lovitt, the man, the immigrant, the comedian? You’re starting with the hardest question? A guy who before he moved here in August 2006, never in a million years would have been able to foresee what this adventure had in store for him. How do you come up with material? Coming up with ideas is the easiest part, especially as an immigrant. 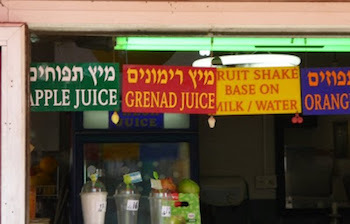 Every oleh (immigrant) complains, laughs, and notices the differences between his or her home country and Israel. Outsiders are always noticing things that are funny. The longer you do comedy, the better you get at looking at these observations through a comedic lens, meaning, you get better at identifying differences or interesting things and better at knowing how to express them in a funny and original way (and also not joking about the same things that every single person jokes about themselves). It happens that most of my material is about Israel although I’m trying to branch out and talk about other topics. How do you use your comedy to connect Israel to Diaspora Jews? 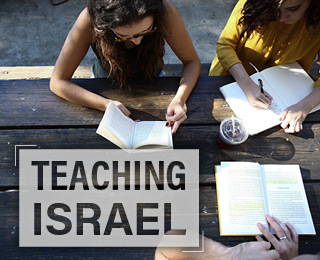 My last job in America was recruiting teens to a Young Judea summer program in Israel. One of the biggest deterrents was the idea that this place was a war zone. Of course anyone who’s been here knows that most days, it’s as safe as life anywhere else, if not safer. 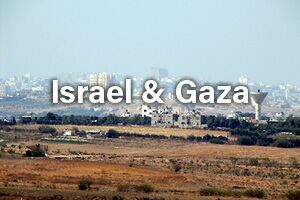 When I started my blog the day before I made aliyah, I called it “What War Zone?? ?” The idea was to highlight the funny things that happen here and remind people that this magical place is so much more than what they show in the news. 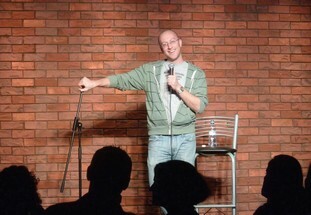 Nine years later, I’d say that the goal of my standup is the same, to make people laugh and remember why we love Israel so much in the first place. Life here is definitely not all about politics or conflict, or even mostly, and of course my show is about neither. And when things do “get complicated”, I’d say my daily writing on social media is an effort to make people, as we say, laugh to keep from crying. Israel seems to be a really serious place, you know, with wars and terror and all. So what is funny? To elaborate on what I wrote above, as an immigrant, the differences between what I experienced in America and what I experience here will always be funny. When a polite Anglo gets yelled at by a cab driver, it’s often funny because it’s so unexpected (even if you can only laugh about it later). When you see an Israeli man wearing tighty-whities on the beach, it’s often funny to us. 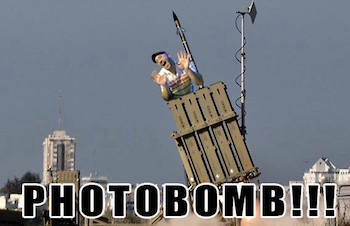 Why not to Israelis? Because it goes against our expectations, not theirs (and here’s the little secret: it also says as much about the people laughing, perhaps that they’re a bit more uptight and square about their bodies and presentation). You keep friends and the international community up to date on the news through humor. How does that go over with those living outside Israel? Is it well-received? I’ve learned that it’s hard to appeal to everyone. Anyone marketing anything probably has to choose a target audience. The ones who “get it” the most are the ones who get Israel the most. People who live here, people who’ve lived here, people who’ve spent a lot of time here. I’ve had people tell me I should explain certain things more to appeal to a broader audience but that would often dilute the humor for me. I’d rather be funnier to a more specific group of people than less funny to a larger audience. As for the ones who do get it, especially during tough times like Operation Protective Edge, I’ve gotten great feedback from people thanking me for being a reason to go on Facebook when the news was so depressing. I think I also provide some perspective that normal life is going on here. I’ve said to a few people, when I stop making jokes, then you should be worried. How has your humor changed since becoming "Israeli," and how has your American upbringing and culture added to the humor of Israel or given you a unique advantage to finding humor? 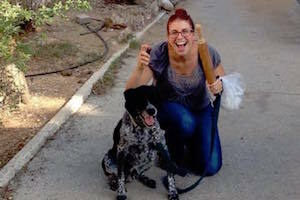 For the past 8 years, I’ve written a list for Yom Haatzmaut (Israel’s Independence Day) of things I love about Israel. When I look back at the first ones, they sound a bit ridiculous to me now. One, because I just wasn’t as good of a comedic writer then, but two, many of the observations are very cliche, things that you’d expect to hear from olim chadashim (new immigrants) or someone who was “fresh off the boat”. I guess they sound superficial now, things that I don’t think about as much, am “over”, or just don’t necessarily even believe anymore. But that’s to be expected, no? Parenthood, marriage, aliyah….all these things are pretty different after 9 years than they were after 9 days (so I hear). I don’t know if being American per se would be any different from being another type of Anglo. It’s more that outside perspective which is where the humor comes from. I guess growing up as an American and watching American standup made me who I am of course. We are launching a contest for Jews around the world to Laugh With Israel, but we don't want them to just use stereotypes or be offensive...what are some tips you would give to the youth that will compete? Again, my first Yom Haatzmaut list was probably more stereotype-heavy. Stereotypes are too easy and therefore less funny. At some point, I realized, if I’m being creatively lazy and just making fun of Israelis for their accents, chutzpah, and more, I am going to remain an outsider in this country. And as I wrote above, all these observations say as much about the joker as the victim of the joke. I’d try to focus on differences, that gap in expectations more than just an Israeli behavior. What is your message to Diaspora Jews? How and why should they feel connected to Israel? Especially to American Jews: come visit. Not only during the "good times.” Even when the news isn’t pretty. During the second intifada, Christians often came in greater numbers than American Jews. Jews from other English-speaking countries came in far greater numbers. How to explain those things? Perhaps that’s a question for a different article. But come visit. Those who do always feel safe when they’re here. (And even if you didn’t feel safe, I guess there are worse things in life. Nobody said having the first Jewish state in 2000 years was easy). I’d say the cost of not coming is greater than the cost of getting on that plane. Anyone who’s been here knows how and why. It will make you feel Jewish in a way that you can’t have experienced before coming for the first time. You get that you’re part of something bigger, a people that goes back thousands of years. That Judaism is more than just a religion. 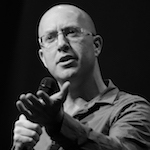 Since making aliyah in 2006, comedian Benji Lovitt has performed for audiences throughout North America and Israel including Hillels, Birthright Israel, Jewish Federations, and more. His perspectives on life in Israel have been featured on Israeli television and radio and in publications such as USA Today, Time Magazine, Huffington Post, the Times of Israel, and more. 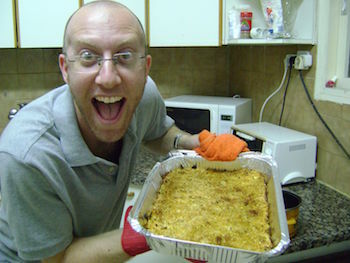 His annual Yom Ha’atzmaut list of things he loves about Israel has developed a huge following and he works regularly with Jewish organizations to promote Israel. Benji is a member of the ROI Community, a certified trainer for PresenTense, and is a frequent presenter at Limmud conferences around the world. Benji Lovitt is currently booking shows for 2016. Check him out on his Webstite, Facebook, Youtube and Twitter. Contact Benji by clicking HERE." 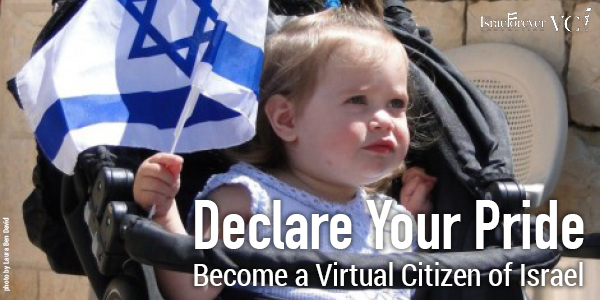 Declare your pride as a Virtual Citizen of Israel today! 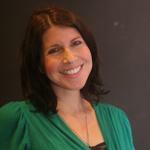 Molly Livingstone is a freelance reporter and comedian, not to mention a mother of two, living in Jerusalem. While playing all those roles, the script remains the same, showing the world the Israel that she sees everyday, from the people and places, to the culture and definitely the food.